Disclaimer: Not mine no profit no harm. Summary: Control is a fickle thing unless you know who is holding the reins. heavy with parcels and Shirley knew she was at least four blocks away from her car. stool, then rummaged for her purse before joining the small queue for coffee. particularly good for a change. increasing snowfall, only aware of where they needed to be and how to get there. himself in an effort to encourage more tipping. checking the traffic before crossing the road. closer to him, her eyes never leaving his until she stood only two feet away. her body once more so she took his hand and allowed herself to be led away. and seemed to be already prepared for lighting. “Do you want to play again?” she asked, looking hopefully at the case in his hands. the side she stood up again and undid the buttons on her blouse. and took the top from him. black bra and ran along it to the cup at the side of her breast and she smiled. and pressed her small lithe body against his. 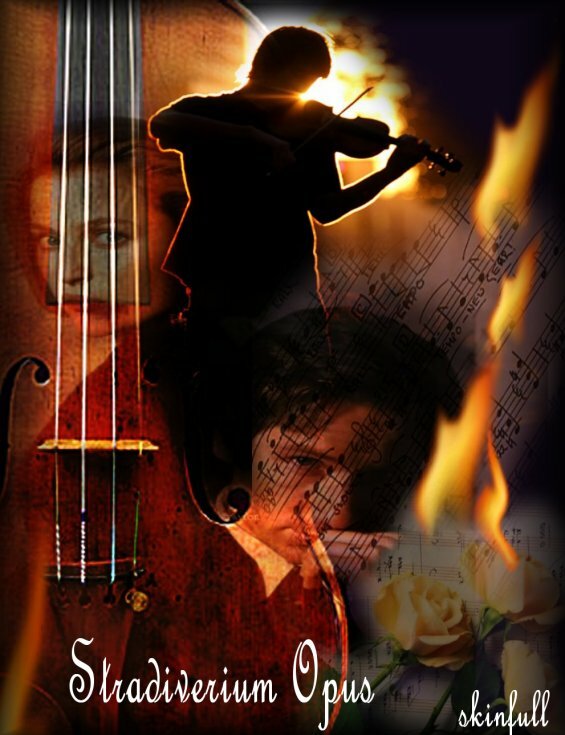 “Will you play?” she asked wanting, needing to hear that music again. her shoulder trailing soft wet kisses to her ear. teenage date movie but this was more, this was different. Then his kissing stopped. “Harken alle ye elemente. Aus meinen neigungen heraus wird ein netz gesponnen. “Is that a poem?” she asked as she swayed her hips luxuriously against him. jade only to finally settle on the richest shade of emerald green she had ever seen. exerted there that she became agitated. him and no acquiescence of his will would make him love… her. and stealing the power of her limbs until finally there was nothing. He shook the final few breaths from her body and let her fall limply to the floor. seized the tarp he needed and a coil of rope before getting to work. another minute before forcing himself off the couch. hands with childlike glee as he undressed in the bedroom and prepared the shower. when the door bell rang. before he settled back on the couch. shrill noise for another moment he finally gave in and answered it. slice, he didn’t look at caller ID to see who it was. as he heard her giggle. an hour’s drive away on the best of days but today, who knew? something good out of her for this. slice of pizza and checked the score line. but was blocked by the thick arm of the bouncer. abroad to take a job as a bouncer, then realized he was being refused entry. her and decided he would need to delve further in to see if he could find her. remembering the drunken giggles he should have guessed. managed before grabbing bunches of his shirt and pulling him down for a sweet kiss. “Does that mean you’re not mad at me?” she said almost purring. room, all of them were woman. full then switched the wipers on until the screen defrosted. miss his relaxing evening in. before her head hit the pillow. other, he sighed with contentment and took a bite. 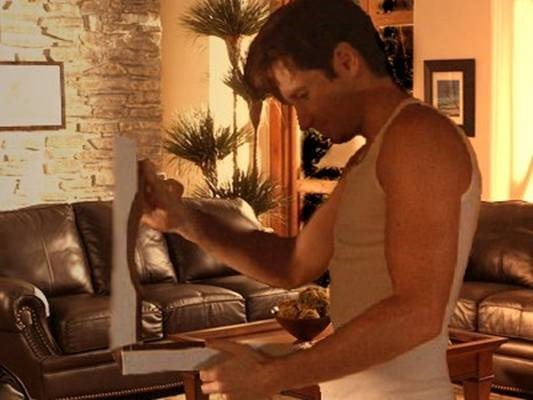 he reached blindly for the phone on the side table. 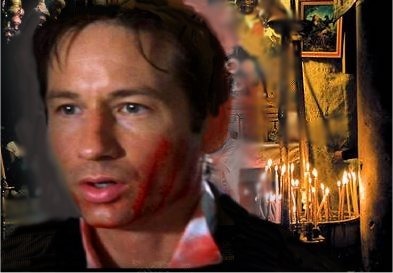 “Mulder,” he bit out. the cordon then made his way to the Officer in charge. cavalry?” he shouted, looking around Mulder for the rest of the Bureau. “He doesn’t look too aggressive.” Mulder commented, gesturing to the captor. see the FBI on the scene. speed dialed Skinner and waited only one ring before it was answered. 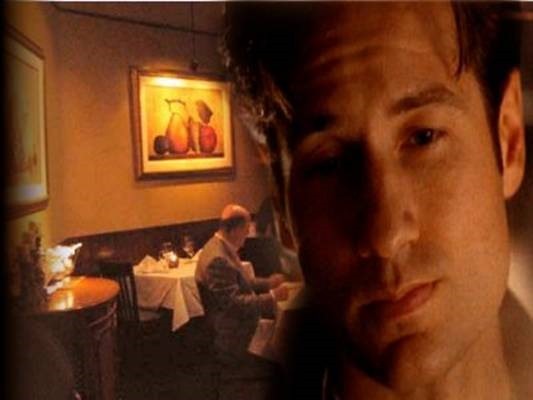 “Mulder, did you get there yet?” Skinner’s voice was still hushed. “Sir I can barely see him. Just tell me why I’m here”? with the clip removed safely. called out to Robert behind the inner door. charging towards him, so Mulder took a deep breath and stepped in. sitting on the front pew now but his head was bent and his shoulders slumped. silence for a few minutes then Jefferies turned to him. Mulder knew what he was talking about. Knew the case and remembered it well. years ago it all fell apart. dedicated his life to finding his wife but four years had passed without a trace of her. whatever words he could say to placate Jefferies would fall on deaf ears. boys and decided it was time to play by the rules. the priest on the shoulder. still sitting in the pew his back to them all. “Would you do that for me Agent Mulder?” he asked, his voice broken with emotion. running steps to the altar only to be met with the shattering sound of the gunshot. working on blood toxicity levels from Robert Jefferies. moment of whispering AD Shanklin sat back in his chair and sighed. feel the tacky residue that was left there and couldn’t take praise for his part in this. him.” Then he nodded at Skinner and turned to leave. solemnly and left the office. house and greet her with breakfast, he gathered the file and left. Scully rolled over to steal a morning hug and found the other side of the bed empty. or had never made it off the couch. to hear his key turn in the front door. table. As she turned around to face him he gathered her into long tight hug. tenderly and kissing her head. table and pulled apart the bran muffin, while Scully read. to look at her with a hand on each cheek. “I remember that one.” Her voice was hushed. him the comfort of her touch. into each other with their bodies and words until finally Mulder sat back. expected of him and more. Back in the kitchen Scully took a muffin from the bag and poured a cup of coffee. haphazardly when she was lost. “What?” he asked finally but without turning to face her. made it harder to ignore. “If you are not up to this…” she began knowing the rise it would create within him. The small bedroom was devoid of any furniture and on the floor were stacks of files. Each one was labeled with post its marking similarities to his wife’s case. investigate it she was sure he would agree to give them help. this case was having on Mulder and she didn’t want him to go down alone. He looked at his watch and decided he’d give it another half hour before packing up. The trains were running for another two hours so he should still be able to find one. the street entrance behind him, but no one lingered. quick glance around the metro confirmed they were all but alone. “You are amazing,” she exclaimed, one hand on her chest as she gushed with awe. her arrival until she placed a hand on his arm. tri-state area in the past seven years. ” He showed her others he had marked. “You see a pattern with these cases?” she asked skeptically. ones. Not the sort of packages a woman on the run might have. it over to a VCR, gesturing for Mulder to follow her. photo of Eileen Dunne and was sure she was right. looking down at the photo of Eileen he saw the same man. Mulder turned his focus back on the photos and pulled another up, then another. particular but everyone listened and got to work. to defend herself and her eyes never left his. So he released her. he took her wedding ring off and showed it to her. her to renounce all that she was before. cell to issue a warrant. would lead in his own car. He jumped in beside Scully and tore out onto the street. knocked on the door. There was no reply so he knocked again, this time louder. firing his gun. Then with a glance at Scully he shot the lock and kicked the door in. Agents Reilly and Dunne coming in through the rear. was long and narrow like the house with the apex roof making it seem smaller. maglight at the large mass in the corner. shine it more directly on the pile. was calling a forensics unit. to reveal the partially decomposed remains of a female. and watching her mobile printer spit out pages wouldn’t fall into the active category. out to prepare for this grisly scene. evident here and here,” he said pointing out the pools of body fluid in the tarp. “I saw a red light flashing when we first got here but it seems to have stopped now. back to her and his hands in his pockets. “Final count?” he asked without turning. wave of guilt that sunk into his core and overrun his emotions. Franco,” he added when she looked at him quizzically. too fast for his voice, his words, maybe even his comprehension to keep up. wanted to laugh at her own thoughts, as if she would ever give up fighting for him. “Maybe,” he conceded without commitment. to give him as much rest as she could. fire with a comfortable sigh. and she looked up to him and smiled. watched as another window popped up. his companion and decided it was time for a change. his mind and he squeezed tighter knowing there was nothing to save her now. glanced at her own near full plate. He smiled. the violin accompanied by a third on the accordion. resting on his cheek as he tried to hold her closer than the table would allow. away from his groin as the cold and wet sensation tickled his skin. but he persisted and she had no choice but to listen to the song. around the table to where the musician was standing. from his shoulder and held it low by his side. “Me?” Scully blushed at the attention he was lavishing on her. hesitation, letting him lead her out of the restaurant. pushed it open a little calling out her name. main room he found the waiter who had served them and asked if he had seen her. scanned the room once again for her. was eating a spaghetti dish that had splattered sauce all over the front of his shirt. request and a B.O.L.O to his orders then hung up and returned to the restaurant. beneath the surface of his control as the waiter shuffled from foot to foot. he pulled it out and handed it over. weight hadn’t changed but the address on it was different. DC, he reached over and fumbled in her coat pockets until he found the phone. 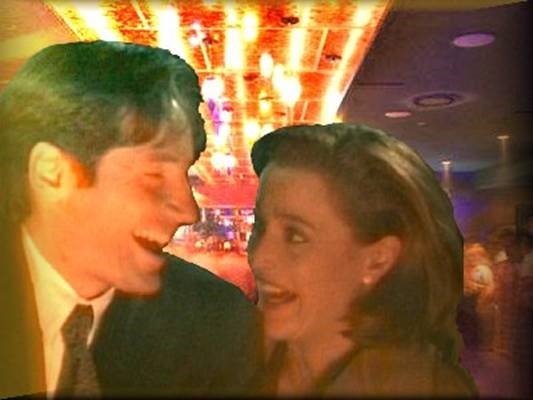 Laughing, Scully took his hand and allowed herself to be led into the rustic cabin. there to stoke the fire but they still warmed up the spacious living room. hands grasped her hips and pulled her closer as she circled his neck with her arms. her, his eyes holding hers like a vice. hands on his shoulders as he stood before her again. the garlic chicken penne to her. Then he kissed her. made her look at him again. mounted and double checking them. as he called his name. was an open map of the area on the hood. silent. They reached the side of a car and slid into place beside the wheels. again but resisting the urge. distorted shadows moving around in the firelight. who was pointing a gun at them all. stance, her arms held out rigidly with the gun firmly aimed at them. Mulder had remained still, his gun trained on his partner but without conviction. knew she would hit whatever she was aiming for. 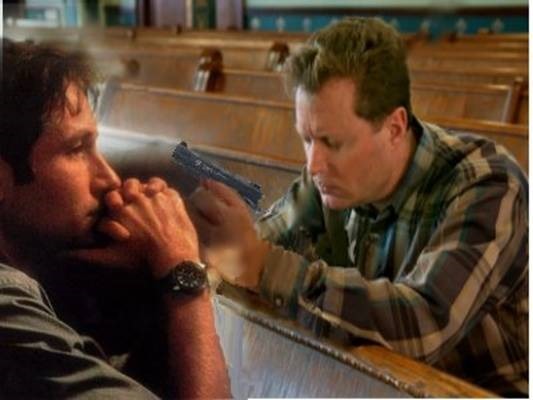 Mulder decided to lower his gun. rest next to a closet far from anyone’s easy reach. here. Now faced with her shooting back at him, that threw him for a loop, hurt him. and Mulder seethed at the sight of them encircling her waist, to hold her against him. This time Mulder heard the hypnotic words but he didn’t understand them. Mulder for verification and he nodded sharply, giving the signal for them to back off. “They’re gone, it’s just us now,” he said quietly, his hands held up in supplication. approached Mulder and walked around him. him but Mulder’s eyes watched the other man. beneath him. Rather than the grimace Mulder was expecting Damien was laughing. through to her. With his skull against her gun maybe but at least he wasn’t dead. again making him spit blood and coughing on it as it trickled down his throat. making him drop to the floor. “Put the gun down agent Scully!” Reilly ordered, now pointing the rifle at her. “What did you do!” she screamed, pushing the gun harder against Mulder’s temple. against the pressure of her arm and he was too late. turned the gun on Mulder and smiled. she dropped her arm from around Mulder’s throat and pointed her gun at Damien. She shot him in the chest twice; two quick shots making him fall back motionless. but she made no move to approach him. circled to her front and held his hand out to her. started to assess the scene. “Scully, look at me,” he said his voice low and shaky. to take her away from that. He saw her top on the couch and hurried over to get it. He draped it over her shoulders and led her out to an awaiting ambulance. shuffled away, the blanket from the gurney draped tightly around her shoulders. her up and take her away from this scene. “I feel messed up.” She looked up to him but found it hard to connect with his eyes. where he found her asleep. ran to the driver’s site, got in and started the engine. enough to engulf her guilt and she leaned forward to bury her face in her hands. wishing he would speed up a little and just get them home. didn’t push him away but neither did she reciprocate his embrace. “You want to know why Scully?” he said still holding her his words tickling her hair. recollection as he remembered what had happened and how it had all began. “I’m so sorry Mulder,” she said behind a sob as she gripped him closer to her. couch where he sat down and cuddled her close to his chest. the bedroom but he was content to just hold her against him for a little while longer. to grab it before it woke her. just after three in the morning. “No. I’m back at the lab with the tech guys but I have something you need to know. eyes open and glassy with death. arrest was made. This was one that would forever haunt him. bows held aloft and all of them were smiling. answer to that question but needing to ask it. body would have been found among the others in Bethesda. him he would fight to the death for her. he heard the notes of a song and someone speaking a language he didn’t recognize. He opened his eyes to find his friend staring at him, the proprietor waiting patiently.